June 25, 2009  It's not easy being related to a musical star: Even if your gifts rival those of your sibling, it's presumed that as the less-famous family member, you must be second-rate or a coattail surfer. Especially in the world of soul music, some overshadowed sisters and brothers have proven as compelling as their kin. June 3, 2009  Listening to Theron Gafford and Darrell Buckner push their falsettos on the sweet soul ballad "I Was Made To Love Her," it feels almost too forced, too shrill. But that's the magic of the falsetto: The way it takes the human voice to unnatural limits is also what imbues it with its power. April 22, 2009  The Charmels' single "As Long as I've Got You" didn't garner much attention when it was first released in 1967. 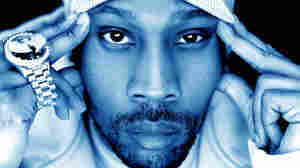 A small snippet of the song, however, now stands as one of The Wu-Tang Clan's most recognizable hooks. Follow the 40-year life cycle of the pop song, from historical footnote to fan favorite. March 18, 2009  In the mid-1960s, an electrician converted his basement into a jerry-built, custom studio he dubbed Double U Sound. Between 1967 and 1981, Felton Williams recorded more than 300 reels of tape. Downriver Revival is the first in a series of compilations focusing on the recordings of these local studios. February 17, 2009  The Latin music giant died Sunday after a long illness; he was 73. As prolific as he was influential, Cuba helped pioneer the Latin soul movement in the 1960s, and became an elder in the salsa scene. January 12, 2009  Once the young soul singer drizzles on his honeyed falsetto, "Just Ain't Gonna Work Out" slides back to yesteryear with a cozy charm that's as warm as the song's electric piano. In a smart touch, he uses studio magic to create his own multi-harmony accompaniment, in essence serving as his own back-up singers. November 25, 2008  The Chicago rapper's new album, 808s and Heartbreak features him singing instead of rapping, but he's filtered his vocals through the voice processing system known as Auto-Tune, an increasingly popular trend among pop artists. The result is a melancholy, intimate and decidedly quirky effort. November 11, 2008  As leader of the 1990s hip-hop group A Tribe Called Quest, Q-Tip rose to fame on the strength of their jazz-influenced production and his smooth, unruffled rapping. After problems plagued his solo career, Q-Tip disappeared from the music scene. He has now resurfaced with an entirely new CD, The Renaissance.